Almost two weeks ago I was privileged to attend our church's first annual women's conference: GLOW. I went not knowing what to expect and came away fully impacted. The speaker from the second day (Jenny Slenk) spoke about the seasons of life we go grow through and the disappointment that often comes with certain seasons. She talked about the idea that those disappointments come from our expectations not being met and how we need to shift our expectations we have of ourselves and others to expectations of God. We need to first raise our expectations of God (He doesn't fit in a neat little box y'all), we need to expect the unexpected next (oh how well I know this), and finally we need to do the unexpected for God (whatever that looks like in your season). We took a close look at Esther - one of my all time favorite women of the Bible. We examined her season as queen and the one that God would use to save the Jews in that time. One of the most poignant moments of Esther in my opinion is when Mordecai asks her, "Who knows whether you have not come to the kingdom for such a time as this?" 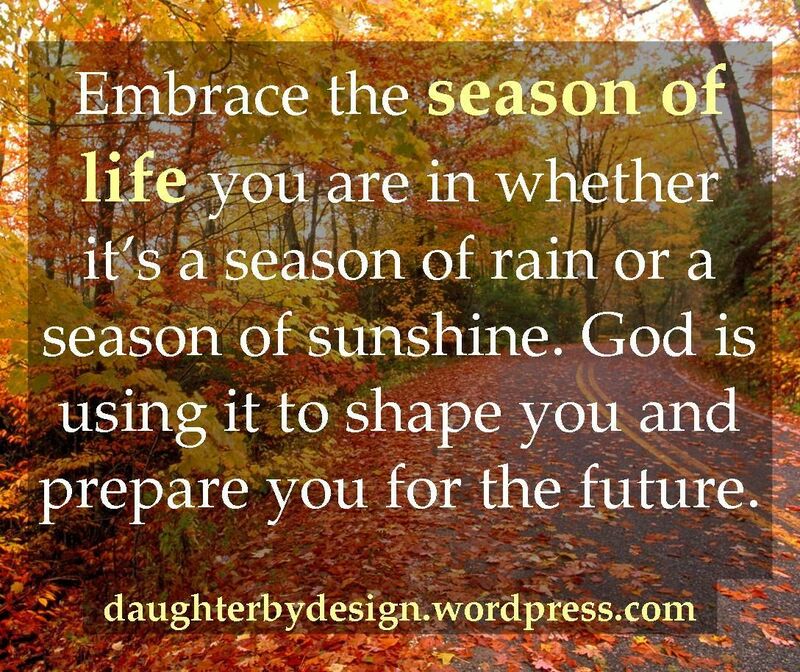 So in applying that to our own lives...what if God has placed you in your season for a certain purpose? As Jenny stated so eloquently, "What if your circumstance is so you can put God on display?" Wow. Focus on that, will you? What if your circumstance is so you can put God on display? This resonated with me, friends. It resonated deep. Sometimes we are thrown into an unknown season with circumstances we did not expect and that we certainly do not like. The Bible never says we have to LIKE our circumstances. But we should step back and ask the Lord, "How do You want to use me in this season?" I can tell you all about learning to expect the unexpected and embrace the season I'm in. It's not always easy. It requires faith, trust, and a whole lot of prayer. But I am learning to embrace where He has me in this moment. Dictionary.com states the definition of embrace is "to take or receive gladly or eagerly; accept willingly." I can't say that I necessarily receive this season gladly but I think I can accept it willingly. 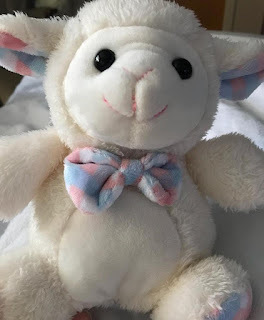 I know that in entering a season of grief and learning to talk about the loss of our little girl that I am able (with God) to open the doors to others' grief and show them that it's okay to talk about it. In all honesty, I entered this season with closed fists and did not want to accept where the Lord had led us. But here I am with open hands and an open heart asking Abba what He has for us in this season with these circumstances. We can serve God in the places that are unknown to us because we can rest assured that He knows. He knows and He has it in His hands and is using it for a purpose greater than we can imagine. Expect God to do great and mighty things in your season. Embrace it. Who knows if you are where you are so you can put God on display? Love this graphic. It speaks to exactly what I am writing about. It's been four weeks since we said hello and goodbye to our little girl in the same breath. It's been four weeks of questions. Four weeks of whys. Four weeks of trying to get up each morning and put on a smile. On the one hand I'm surprised it's already been four weeks. But on the other hand, I feel like it has been the longest four weeks of my life. I feel like I've run an emotional marathon...and I'm still running. I've learned some valuable lessons during this marathon though. I've learned that talking about this, talking about her, helps. I don't understand why miscarriage and pregnancy and infant loss have been such taboo subjects. It needs to be talked about. People need to know that it happens. It's not rare. And you're not alone. If I've learned anything from this journey, it's that I'm not alone. There is a tribe of women that have walked this path before me and a tribe of them that will come after me. I don't know why. I may never know why Jesus needed our baby girl before we got a chance to know her. I've learned that when I stop and think of all the things I don't get to experience with her, it tears me apart. I don't get to watch her learn her first words or take her first steps. I don't get to paint her nails or learn to do her hair. I don't get to wear matching outfits with her or sing songs of praise with her. I don't get to go dress shopping for her first dance or celebrate her achievements. I hate it. It hurts. But then I have to switch gears and remind myself that she never has to feel pain. She will never experience a broken heart. She will never hear ugly words spewed at her or fear the unknown. She will never worry or be sad or be lonely. And when I remember these things, for a moment, it makes it a little better. I've learned not to sweat the small stuff. I've always tried to roll with the punches (sometimes better than others) but this has really taught me not to worry about the things I can't change. If it's something I can change, then I can try to do something about it. But if I can't, I just try to change my attitude. I'm not perfect in this area by any means, but I'm trying. With the Lord's help, I'm trying. I've learned the value of our tribe. The people we surround ourselves with are of vital importance. Our tribe is a lot larger than I thought it was. My work tribe, my Jesus tribe, my family tribe...all important. I still am blown away by the people that loved on us and donated time or food or money or garden items. I feel so unworthy to have been surrounded by so much love but yet I know God placed them there so I could stand on the shoulders of the saints in His strength. I've learned to be more intentional. The people that supported us? They were intentional. I've wanted to be more intentional but always felt like I fell short. I suppose one has to be intentional about being intentional. I want to be more intentional with my spoken words (still a work in progress), more intentional with my time, more intentional with sharing how I feel about the people I love, more intentional about doing what I love, and more intentional about my time with Jesus. I've learned that grief is a process. There are stages. And you can be in one stage one day and another stage the next and then you can repeat stages over again...sometimes multiple times a day. The cycle of grief has slowed down from where it was 4 weeks ago, but it's still there, taking us back and forth periodically. I'm not sure that cycle ever truly ends. I've learned a lot. 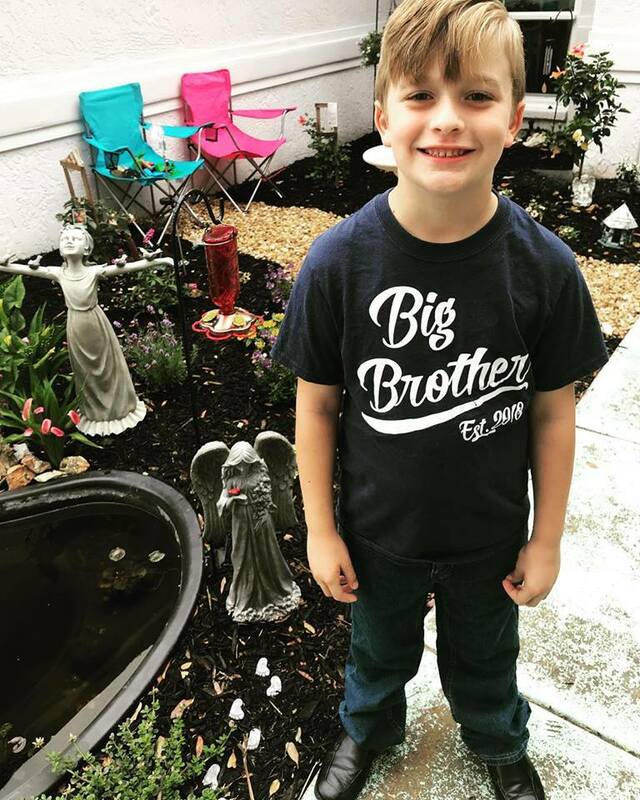 And tomorrow, I will learn how to celebrate Mother's Day as the mommy of an angel. And I will cry because Zivah is not here and I am. I will smile because my precious boy will tell me Happy Mother's Day and kiss my cheek and give me what he made at school and beg to eat the cake he decorated for me. I will cry again because my first Mother's Day as a mother of two was not supposed to look like this. I am supposed to be cuddling an 8 month old bouncing baby girl next Mother's Day...not missing her and longing for her tomorrow. For all moms: moms of angels, moms of one, moms of many, moms of none (yet)...Happy Mother's Day. May the peace that passes all understanding wash over all of us tomorrow. Zivah's lamb that we took to the hospital with us. Her TayTay (grandma) bought it for her. The painting I bought for my husband's birthday. 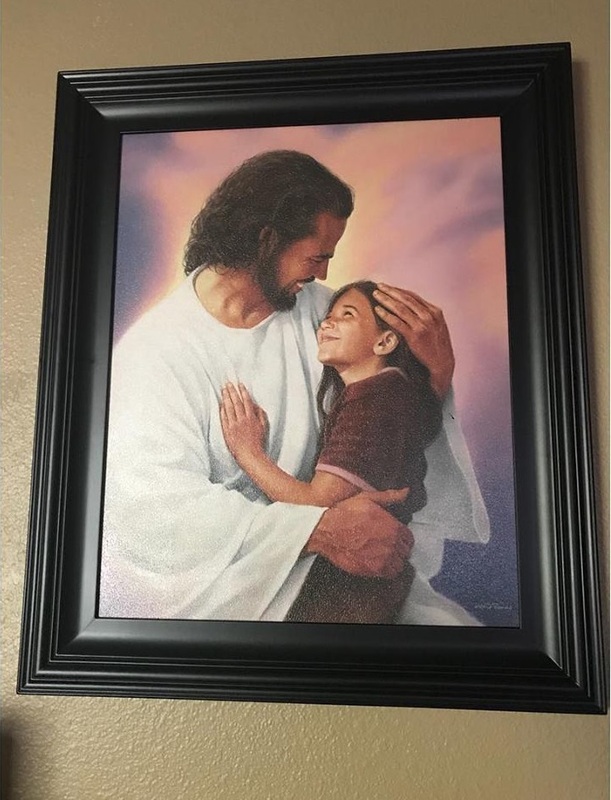 It depicts how he sees her and our Jesus. 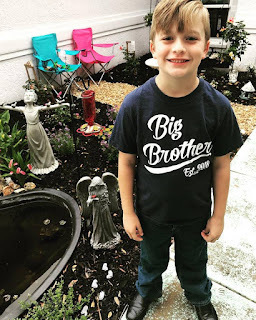 Big brother standing in front of his little sister's memory garden.